A treatment to address your particular hair concerns, added on to your hair service. for ultimate shine, or a customised colour gloss to enhance your hair with extra shine, followed by a blow dry service. A special treatment for damaged and tired hair and scalp. Brings your hair back to life adding vitality and healthy shine. 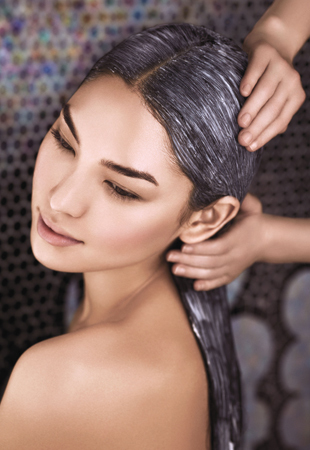 Includes a scalp & hair analysis, balancing-touch massage, stress-relieving shampoo ritual and blow-dry.